Global wildlife populations have decreased by more than half, concludes a new report released by the WWF. The extent of this major destruction came as a shock and showed just how far we are from reaching a sustainable future and living in harmony with the Earth’s biodiversity. The cover of the WWF report. The report shows that the worst loss happened in freshwater species – 76% of all species were gone; on average, populations of mammals, birds, reptiles, amphibians and fish have declined by an average of 52%. The Living Planet Report, published every two years, concludes that mankind is responsible for much of that destruction – through CO2 emissions, deforestation, urbanization, unsustainable extraction of groundwater and more. Indeed, despite some conservation efforts, the global trend seems to ignore biodiversity. The problem is that we fail to understand just how important this matter is – not only in itself, but also in the services it provides mankind. Though this was not directly discussed, it is thought that we have not yet reached the point of no return – while the damage we have done is irreversible, we can still work our way towards a more sustainable future. The problem is that we have to act now – we have to act fast, and we have to do it right. 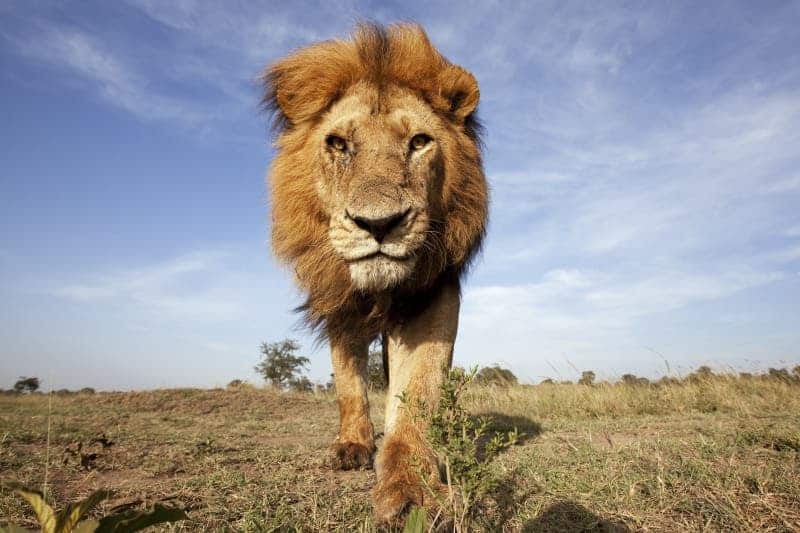 African lion, Maasai Mara National Reserve, Kenya. 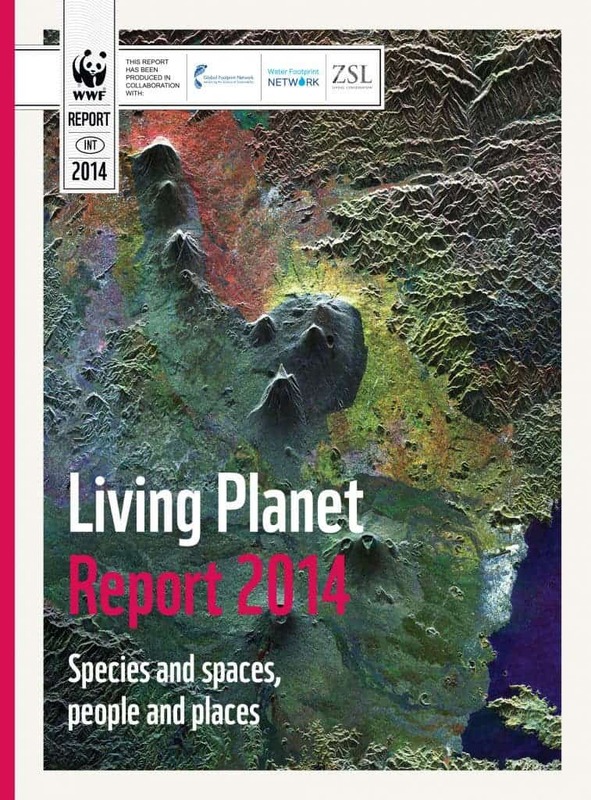 The Living Planet Report 2014 found global wildlife populations have declined by more than half in just 40 years. It’s the tenth edition of the report, and this time, WWF have significantly improved their data acquisition methodology for their flagship publication. Naturally, compelling a list of wildlife populations and calculating species decline involves some tricky statistics, which often implies working with different types of datasets. For these reasons, some statisticians have debated the accuracy of this type of study. But even the Zoological Society of London, which adopted a different, more conservative statistic, concluded that 30% of all wildlife was destroyed in the past 40 years – so the amount of the damage, while debatable, is still immense; and the reason why it’s happening is not in any question: we’re causing it. The problem is, no matter where you look for it, we are harvesting resources at a faster rate than they can replenish. A project to cut the amount of water withdrawn from the wildlife-rich River Itchen in the UK. “The findings of this year’s Living Planet Report make it clearer than ever that there is no room for complacency. It is essential that we seize the opportunity – while we still can – to develop sustainably and create a future where people can live and prosper in harmony with nature,” said Lambertini. 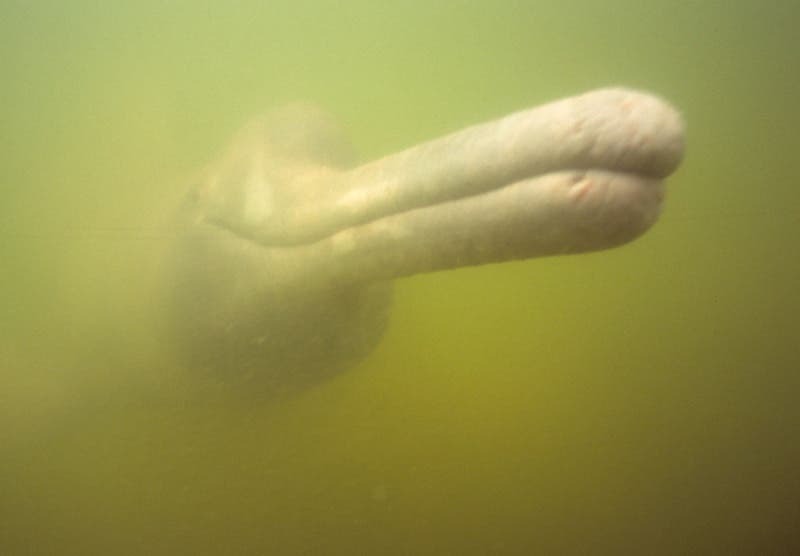 Amazon river dolphin, Brazil.Freshwater species have suffered a 76 per cent decline, an average loss almost double that of land and marine species. According to the report, humanity’s demand on the planet is more than 50 per cent larger than what nature can renew. In other words, it would take 1.5 Earths to supply all our needs at the rate we are consuming resources. To better measure this impact, WWF calculated the environmental impact of all countries. Kuwait had the largest ecological footprint per capita of all countries, followed by Qatar and the United Arab Emirates. The USA wasn’t very far off either. What’s interesting (and concerning) to note is that poorer countries had a smaller ecological footprint – India for example uses its resources at a highly sustainable pace. So the question is: as these countries continue to raise their standard of life, will we see an even larger ecological footprint? The answer is likely yes. The loss of biodiversity is just a consequence, but one which can accelerate the environmental damage we are causing. In turn, this will come back to haunt us. According to the report, some tipping points of irreversible damage have already been reached, including carbon dioxide emission and nitrogen pollution from fertilizers. Interestingly, the report also highlights how Asia is increasingly working on reducing its emissions and its carbon footprint. The conclusion is clear: we’re in this together. If we kill the biodiversity, we are killing ourselves.